Looks like the Alterna Credit Union Credit Cards that were issued by mbna have been discontinued. The Alterna website still shows them but when you click through to apply for the cards the application is not available. A week ago today the newest Delta Hotel opened up here in Canada in Dartmouth Nova Scotia. The Delta Hotels by Marriott Dartmouth with 174 rooms took used to be a Ramada but has been completed renovated to the latest Delta standards and is a Category 6 hotel in the Marriott Rewards program. 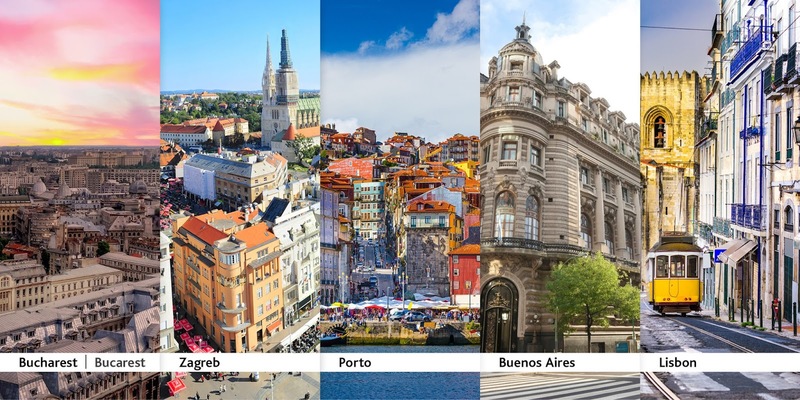 To celebrate the opening of this new hotel Marriott Rewards members can earn 1,000 bonus points per night for up to three nights for stays from the middle of October right through to the end of the year. 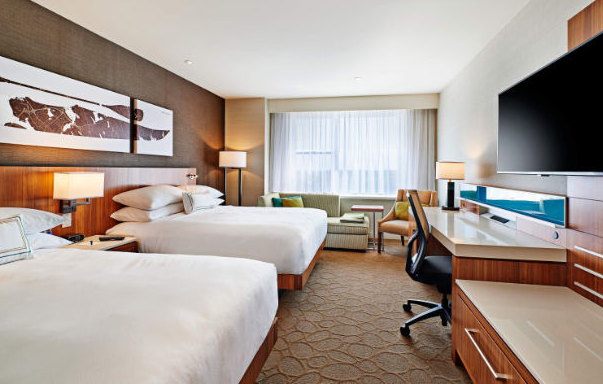 Find many more Marriott Rewards bonus points offers here! 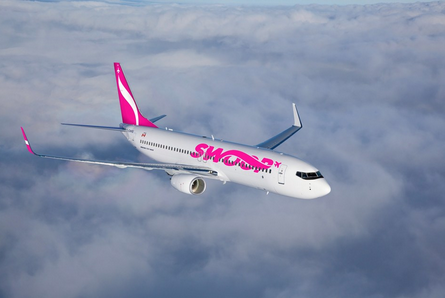 "The name Swoop denotes exactly what we plan to do," said Bob Cummings WestJet Executive Vice-President, Strategy and the executive member responsible for the launch of Swoop. "It's a powerful verb that demonstrates we plan to swoop in to the Canadian market with a new business model that will provide lower fares and greater opportunity for more Canadians to travel." A little over a month ago we brought you the details of the Diners Club to British Airways conversion bonus of 50%. Normally it costs 1,250 Club Rewards Points to get 1,000 Avios but with the bonus it is 1,250 points to get 1,500 Avios. I bit the bullet today and converted 50,000 Club Rewards points to BA which means I'll get 60,000 Avios. The online redemption process was painless and while it says it can take a few weeks for the Avios to show up in my account it should only be a few days based on past experiences with Diners. If you are still one of those who holds onto the card like we do (it has the best CDW out of all cards and that's the main reason I keep it now) you have 3 days left to take advantage of this bonus. Read more about the bonus here. The Marriott Canada team reached out to us to let us know and pass along a very cool Marriott Rewards Moments offer that is tailored to us Canadians and more so those living on the West Coast. If you are not aware of Marriott Moments, it is a redemption in the Marriott Rewards program where you can use points to bid on one of kind experiences like this one. You only redeem points if you win the package, if you are outbid you keep all your points. Click here to view more details about this Moments offer and/or to bid on it! September 26 Update: All the Amex Cobalt resources you need, Air Canada reopens YVR Intl Maple Leaf Lounge & more! The card will be placed on other pages as well as time allows plus we'll need to update several of our Ultimate Credit Card portfolios now as this card will make those change. 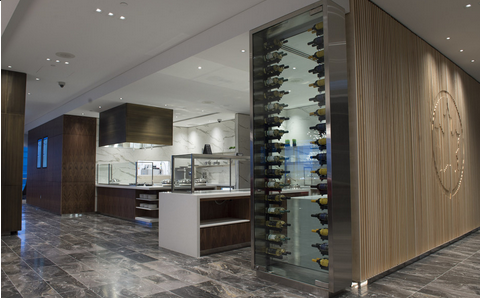 Air Canada reopened its Vancouver International Maple Leaf Lounge following an 18-month renovation and expansion. Let me start off that, yes, there was a lot of buzz last week about the launch of the NEW American Express Cobalt Card, so the anticipation for it is big. 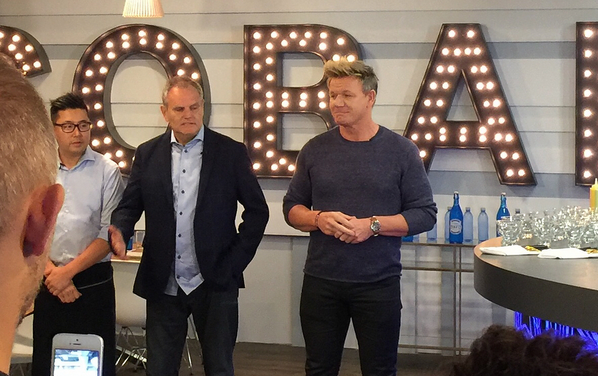 Yes, what you may have already seen about the card is true but not all of the details were available, and now American Express has officially launched Cobalt. All I can say is this is a game changing card based on the earn rate, the redemption options, insurance and sign up bonus. This card is targeted towards Millennials but that doesn't mean people outside of that generation shouldn't look at the card. I'm not a Millennial and will be getting the card. Same goes for my wife. There's two people outside the target market who will be grabbing the card. Here are all the details and with them you'll see why this card is amazing. Millennials are used to paying for things on monthly basis, subscription services, transit passes, gym memberships, you name it, and now credit card fees. The card charges $10 per month for having it which equates to an annual fee of $120. Right now the card will come with a sign up bonus of up to 40,000 Membership Rewards points. One might ask how can a card company avoid people taking advantage of such a big bonus with only a small monthly fee and someone cancelling the card? You make the bonus monthly, that's how! Simply putting $500 in spending on your card during a billing cycle will net you 2,500 Membership Rewards Points for the first 12 months. Ideally then you need to spend $6,000 in the first year (12x$500) to earn 30,000 points. If you miss out on $500 spending in any of those first 12 months you will miss out on the bonus for that month, so it is key you keep on top of your spending and make that $500 per month for those first 12 months. The additional 10,000 points comes from a limited time offer that if you spend $3,000 in first three months of having the card you'll get the bonus. To get in on the additional 10K you must apply for the card by January 30, 2018. 5 Points per dollar spent on food and drinks - this includes restaurants, bars, grocery stores and even food delivery services. 2 Points per dollar spent on travel and transit - this includes flights, hotels, taxis, transit passes and ride sharing services. Plus, Gas Station purchases are also included! 1 Points per dollar spent on all other eligible purchases. The above points are awarded on eligible spend and category multipliers will be awarded so long as the merchant is classified/categorized with the proper merchant codes regardless of what country you are in. 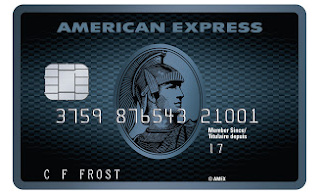 The American Express Cobalt Card comes with a modified version of Membership Rewards. It has the full Use Points for Purchases option, the Fixed Points Travel Programs and includes the hotel portion of the Frequent Traveller Participants. This means there is no direct conversion to the # of airlines that partner with Membership Rewards. If you redeem using the Use Points for Purchases option, you will get a $10 credit towards every 1,000 points redeemed for a travel purchase. This means the purchases you make on food and drinks will equate to a 5% return - no other card offers this full time. Sure they have options to earn that amount when you first get the card for up to 3 or 6 months but no card offers it beyond that except for Cobalt. Redeeming for non travel purchases? You'll get the $7 credit for 1,000 points which means you can max out at a 3.5% return on the card which is still really strong compared to lots of the cash back competitors the card has. Moving on to the Fixed Points Travel Program, the card provides great value here as well. Being able to earn up to 5 points per dollar means you can be flying for as little as $3,000 in spending on this card! 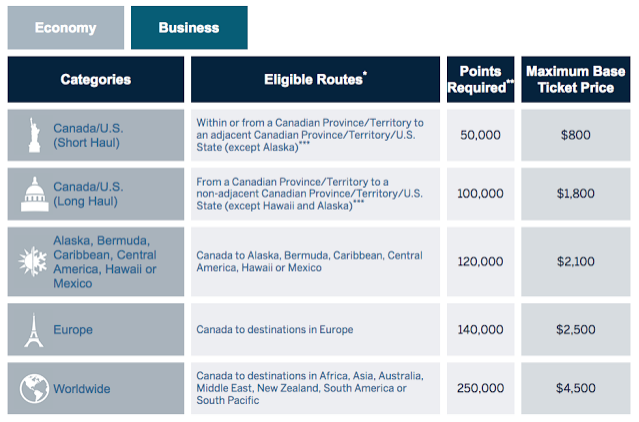 From the chart above you'll see you only need 15,000 points for popular short haul round trip flights. Make that spending with 5x multipliers and you have that ticket for only $3,000 in spending. You will not achieve that with any other card in Canada. Even business class to Europe is an amazing deal, only $28,000 in spending at 5x points gets you that round trip flight to Europe. Compare this to nearly double that for most other cards in Canada that allow you to redeem for business class. The Fixed Points Travel Program has proven to be a large success for American Express and that is just going to explode with this card! When you convert to Starwood Preferred Guest, which is one of the two hotel transfer partners you'll get 0.5 Starpoints for every Membership Rewards Point transferred. 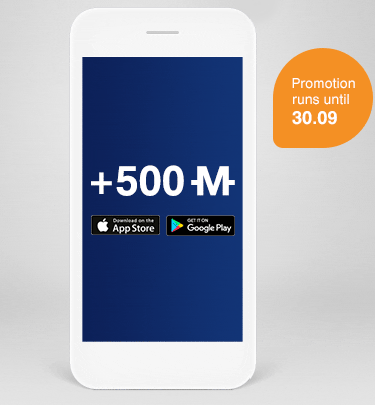 As we know the Cobalt card earns up to 5x points on purchases which means you'll get up to 2.5 Starpoints per dollar spent on this card. Once again, no other card provides such a great SPG earn rate! Then within SPG you have the option to convert to 30+ airlines and when you convert 20,000 Starpoints at a time SPG kicks in an additional 5,000 miles. 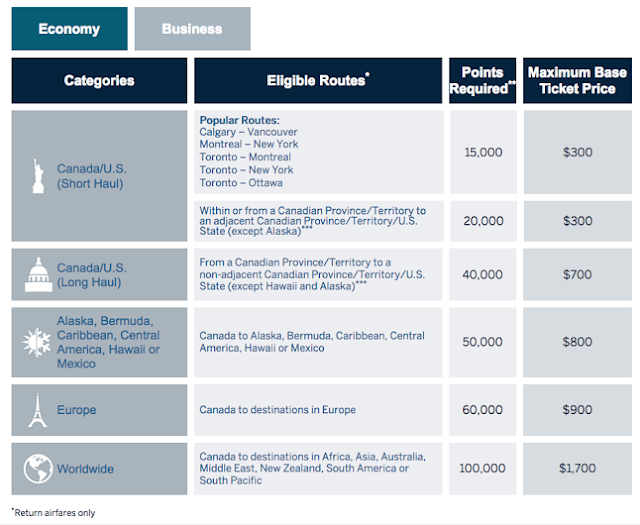 For example convert 20,000 Starpoints to Aeroplan and you'll get 25,000 miles. That means this card has an effective earn rate of up to 3.125 Aeroplan Miles, British Airways Executive Club Avios, and so on! Once again no other card offers a potential earn rate on airline miles like this! Just heed the advice that Starwood has been taken over by Marriott and we should see the SPG program merged with Marriott Rewards in late 2018 or early 2019 of which we don't know what the redemption rates will look like after that date. The other hotel option is Hilton Honors and offers a 1:1 conversion rate from Membership Rewards. Again this card has the potential the best Hilton Honors points earning card for Canadians. It does have a decent Travel-Related Insurance Coverage package which includes Emergency Medical Insurance (out of province/country), Car Rental Theft and Damage Insurance, Lost or Stolen Baggage Insurance, Hotel/Motel Burglary Insurance, Flight Delay Insurance, and $250,000 Travel Accident Insurance. This card attacks from all angles. Earning, redeeming, benefitting. You name it, this card has it. American Express has done their research and come out with what may just be the best all-around product on the market not only for Millennials but the mass market of Canada who do not need extraordinary travel benefits that come with some higher end cards. We've now got our work cut out for us with the 2018 Top Travel Rewards Credit Card rankings, our Ultimate Credit Card Portfolios and more. It means working overtime but that's OK since it's worth it passing along news like this to Canada. IHG Rewards Club is once again offering their great 100% bonus on buying their points. You only have until September 29th to buy them and if you purchase 5,000 or more points you'll get the number of points you buy doubled. As is always the case when buying at the 100% level, each point will only cost you 0.575 cents. If you choose to buy the maximum number of points, 60,000, it will cost you US$690 but of course you'll end up getting 120,000 points. That's 24 nights at IHG hotels if redeeming via the PointBreaks option which works out to only $28.75 per night! A quiet Monday before what will no doubt be a very busy Tuesday! Be sure to check back on the blog tomorrow morning and on our social media for a big credit card launch. If you follow us on Facebook, Twitter or Instagram you'll know what we're talking about or even read about our post last week for why there is a need for a credit card for Millennials. In the bonus offers check out the offer for 500 Miles & More miles for simply downloading and logging in to the Miles & More app. Movenpick Hotels Save up to 30% when you stay at any of 80+ hotels and resorts across Africa, Asia, Europe and the Middle East Book by Oct 31 for stays until Nov 30. Find out more here!